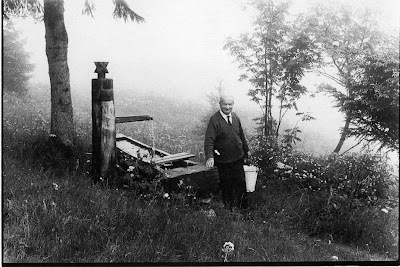 I've been reading an interesting little book recently - Heidegger's Hut (or Hütte). As the blurb says, "This is the most thorough architectural 'crit' of a hut ever set down, the justification for which is that the hut was the setting in which Martin Heidegger wrote phenomenological texts that became touchstones for late-twentieth-century architectural theory." Apart from a rather obtuse Intro and Prologue, the book itself is actually quite straightforward. 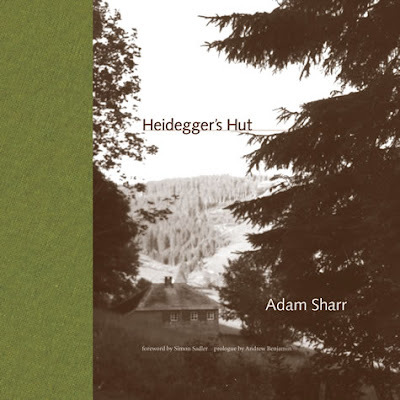 What it does do is give an intriguing insight into the importance of this structure and place in the Heidegger's life. Indeed, it seems intimately interwoven with his thought and philosophy. (Nor does the author gloss over the various contradictions in Heidegger's life, especially his still unresolved relationship to nazism). It's not especially photo oriented, but for anyone interested in understanding place, this is an interesting read. Indeed, Heidegger's short essay Building Dwelling Thinking has influenced contemporary planning and architecture to such a significant degree that anyone interested in the modern city and urban condition is probably being influenced by Heidegger whether they realise it or not.